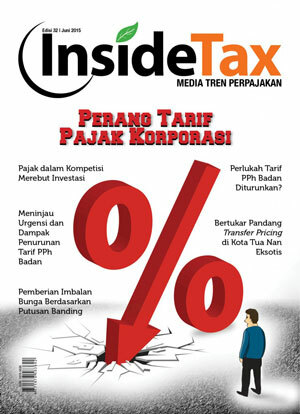 Lately, Indonesia has been bombarded with the issue or discourse of taxation related government policy. Starting from the provision of incentives, the eradication of tax objects, to tax sanctions amnesty. All of these steps are surely related to Taxpayers’ compliance. Moreover, it is expected that the government is going to reduce Corporate Income Tax (CIT) rate with the hope that investors or domestic Taxpayers do not move their operation abroad, such as to Singapore. Until now, numerous Taxpayers are ‘said’ to store their funds or wealth abroad and some Taxpayers are considered non-compliant, related to the reporting of those funds.